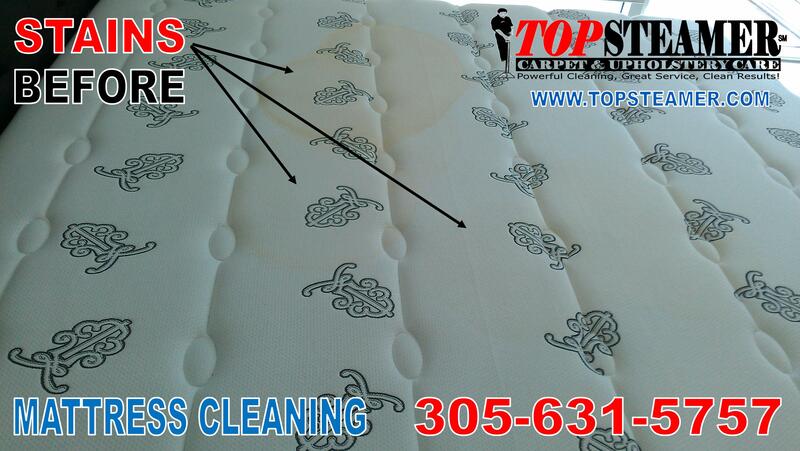 Before we clean the mattress we vacuumed and applied a special urine stain remover and let the stain remover work for a few minutes on the stain. Next we applied a conditioner on the mattress and steam clean it, as a final step when all cleaning was done disinfectant was applied to the mattress. See the after cleaning picture below you won’t believe the difference. 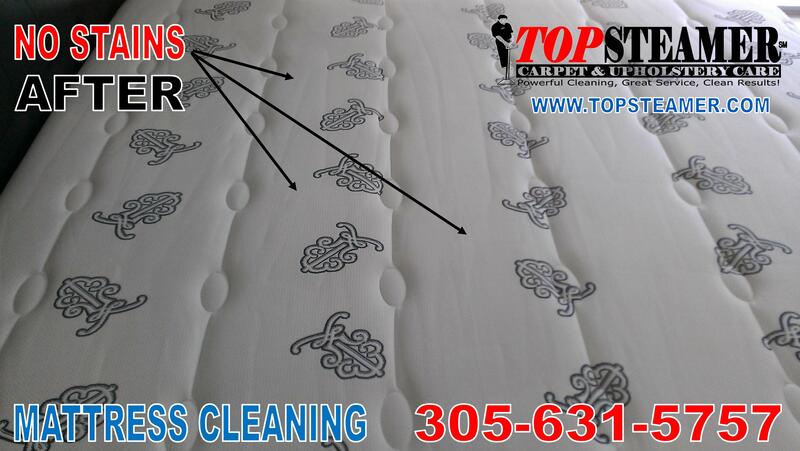 If you need your mattress clean in Aventura call us today 305-631-5757 FREE estimates. Sleep healthier on a cleaner mattress.